Imagine being part of an organization that fills your heart and your mind with the joy of giving to others and the feeling that comes with making a difference. Knights are Catholic men, 18 years of age and older, a parish affiliation is not necessary, who are committed to making their community a better place, while supporting their Church. Being a Knight is more than camaraderie; it is being involved with your community; it is supporting your local Catholic Church, while enhancing your own faith; it is about protecting and enhancing your family life. The St. Mark Council is looking for men of St. Mark parish yet require very little of your time each month. 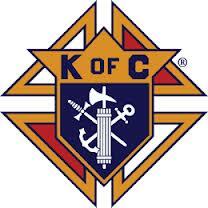 If you are interested, please give the Knights of Columbus a chance and become a member. If patriotism is forefront, you can become a 4th degree Sir Knight. The Saint Mark Council is located in the Parish Center next to Saint Mark Church at 643 NE 4th Avenue Boynton Beach Florida. You can contact the Knights by phone at our parish office 561-734-9330, or by email at (Richard’s email address) located below. Saint Mark Council 12414 was founded on April 8, 1999 through the efforts of fellow Knights. The Saint Mark Council works closely with the Saint Mark Parish, providing funds for various projects, members being active participants in their parish. St. Marks Council # 12414 is looking for men to join. Membership is the life blood of any Council and we are looking for new members, so our council is asking for any man willing to give a little of their time which is about 25 hours a year. Our council needs to grow so we can include other programs that include family. Family is important to the Knights of Columbus and to our council. Growth is very important our council and will keep us here for the future. For over 120 years, the Knights of Columbus has served our communities, our Church and our fellow man, in an effort to better society as a whole. This also can include other council efforts like Squires Youth Organization were boys 10-18 years of age start their own council with help of Council members. Squires can instill leadership, life values in a changing world, do church activities and fundraising. Insurance is another thing that is part of Knights there is over $65 billion in force to date, also, many more things as well. Info on all above can be found on the K of C web site at the above link Supreme Council. Annual: Mummers, Irish night, Christmas Party, and Mass for deceased members of our council.